Thursday afternoon in Jamestown New York a gigantic crowd filed into a very beautiful building to hear some very important comedy history. It took place at the Robert H. Jackson Cente- a building dedicated to advancing public awareness and appreciation of the principles of justice and the rule of law, as embodied in the achievements and legacy of Robert H. Jackson, US Supreme Court Justice, and Chief US Prosecutor at Nuremberg. Comedy greats like Paul Provenza, Mark Russell, Laraine Newman, Kelly Carlin, George Schlotter, George Shapiro, Ronny Malmo (who plays Lenny Bruce on stage) and more were spotted among the crowd as Kitty Bruce, daughter of Lenny Bruce sat with first Amendment lawyer Paul Cambria and Lewis Black to talk about the legacy of Lenny Bruce and his legal battles. CNN’s Stephen J. Morrison moderated the discussion which was a part of the annual Lucille Ball Comedy Fest and the grand opening of a new National Comedy Center that includes a sizable exhibit dedicated to Lenny Bruce (more on that coming soon in a separate article). The conversation was captivating as Kitty spoke about her father, his legacy and what inspired him to take such hardline stances against authority, risking and eventually becoming a victim of criminal prosecution for his performances on stage. One of the highlights of the hour discussion came as Kitty explained why Bruce was photographed wearing a trenchcoat on stage- a coat which has become symbolic of all the doors Lenny Bruce opened for all of the comedians who came after him. “The trenchcoat was because he knew he wasn’t leaving,” Kitty explained. Bruce knew a case was being gathered against him, and the D.A. had told Lenny that if he planned to continue use the words on stage he was using, he had better bring a toothbrush because he’s going to jail. So, Kitty explained, her father would keep his coat with him when he performed in case he was nabbed from the stage by cops. He knew he wouldn’t have time to get backstage and grab it. The story elicited gasps from crowd who clearly hadn’t known that was the reason- even Lewis Black said he had no idea that was the reason Bruce wore it. Kitty Bruce shared incredible stories about how Bruce became motivated to speak about inequality and injustice on stage. His motivation, she said was his own childhood. And his adulthood. And everything in between. When Bruce came home from World War II, she said, he saw that black soldiers who risked their lives for their country alongside him were shunned in the states. They could go to war but they couldn’t sit at a counter. He just couldn’t believe the injustice of it all. His parents also exhibited deep bigotry, she revealed, as she shared a story about a time her father and mother visited Lenny’s parents, and were kicked out of their own parents home because they had brought a Puerto Rican friend with them. It was the era of June Cleaver and pearl necklaces and “take my wife please” humor that surrounded Lenny, but “he busted that pearl necklace straight off,” Kitty said, to talk about the things in life that he could not understand, and to share his disgust with hypocrisy wherever he observed it. Kitty spoke at length about the legal process and the case against Lenny in New York and how the deck was stacked against him. She said the prosecutions used poorly recorded audio resulting in inaccurate perceptions about what was said. She also explained how the judge was colluding with the D.A., and described outright lies from a policeman who swore he was in the room for all of Lenny’s shows at issue, even though he wasn’t. Kitty said there was tampering, lying, and indecipherable tapes that all contributed to Bruce being conviction on three counts, and receiving four months in a workhouse for each offense. His overdose that led to his death occurred while he was fighting that conviction. And now that trenchcoat, the typewriter Bruce used to write his material, and the 2003 pardon that cleared Bruce of wrongdoing posthumously all reside in Jamestown in the National Comedy Center’s Blue Room. “Now there’s a Comedy Center. He’s still talking. So in the end, they still can’t shut him up,” Kitty said to thunderous applause. 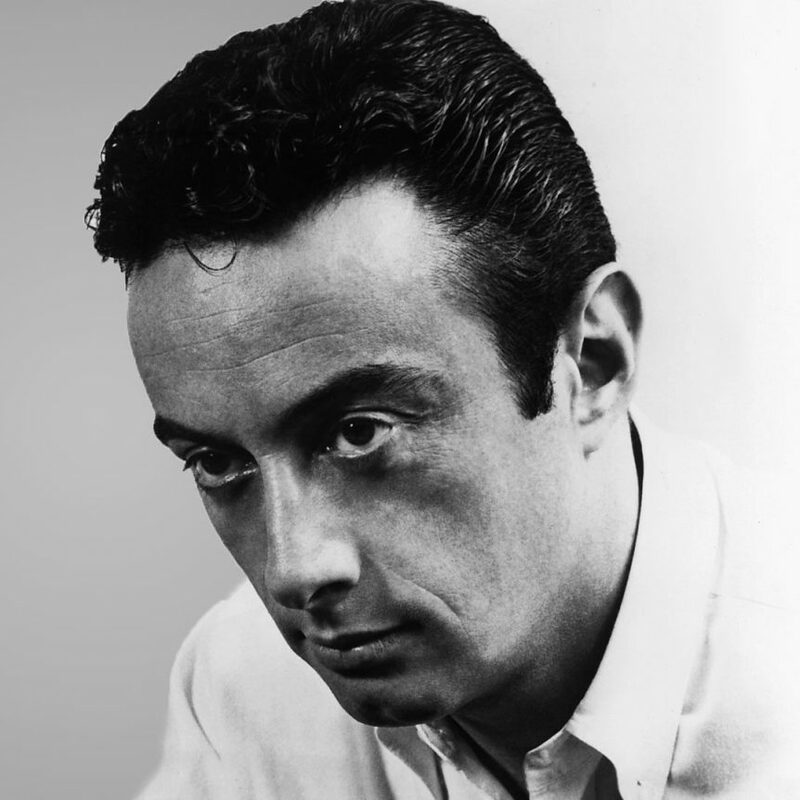 Ultimately, Lenny Bruce’s legacy, the panel agreed, was that he made it possible for political comedy to be protected. By breaking the law, and fighting the law, he made it possible for every comedian from Carlin and Pryor to Lewis Black and young comedians getting their start today to get on stage without fearing prosecution. Lewis stressed how vital it is for young comedians today to understand how we got to a place where comedians can tell truths on stage, even truths that threaten to expose those in power. So much more coverage of the National Comedy Center Grand Opening to come!